Author: Perez-Reverte, Arturo Set In . . . Description: Gear up for swashbuckling adventure in the second “riveting”* historical thriller in the internationally acclaimed Captain Alatriste series. The fearless Alatriste is hired to infiltrate a convent and rescue a young girl forced to serve as a powerful priest’s concubine. The girl’s father is barred from legal recourse as the priest threatens to reveal that the man’s family is “not of pure blood” and is, in fact, of Jewish descent—which will all but destroy the family name. 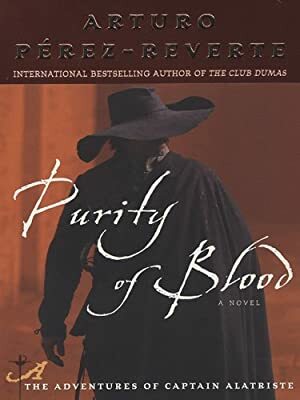 As Alatriste struggles to save the young hostage from being burned at the stake, he soon finds himself drawn deeper and deeper into a conspiracy that leads all the way to the heart of the Spanish Inquisition.